AmeriPride is one of the largest uniform rental and linen supply companies in North America that depends on its large fleet of vehicles to distribute its products. The Company prides itself in clean operations and has an unwavering commitment to the environment. The very nature of AmeriPride’s service helps other companies avoid contributing to landfills and pollution. AmeriPride provides linen and towels, uniforms, floor mats, restroom and cleaning products to nearly 150,000 customers every week. 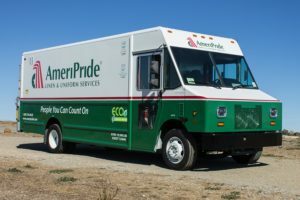 As part of a corporate strategy, multiple initiatives in AmeriPride’s fleet operations have been set in motion to reduce energy consumption and lower carbon footprint. This includes having one of the newest and most fuel-efficient fleets in the industry, reducing vehicle mileage by rerouting service center routes, and piloting alternative fuel vehicles in several markets.Keeping with its environmental initiatives, AmeriPride decided to install electric vehicle (EV) charging stations at its Vernon, California facility. The Vernon facility was chosen because of route density and infrastructure financial incentives, as well as the region’s poor air quality. Once completed, 20 percent of the AmeriPride Vernon fleet will be all-electric zero-emission trucks.In order to understand what kind of impact the new EV delivery trucks would make, AmeriPride needed a robust charging station monitoring solution that would provide flexible control, monitoring, and reporting on a global level. 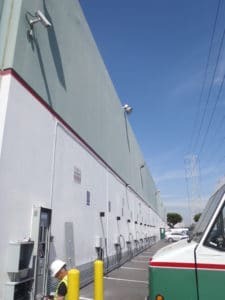 The charging station monitoring system requirements included a cloud-based platform and a system “smart” enough to provide accurate data proving that the EV fleet increased operational efficiency and improved the carbon footprint of the Vernon facility. new distribution panel for the electric vehicles. 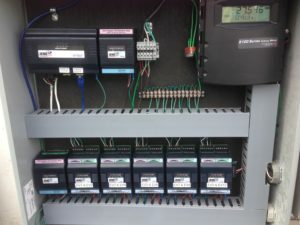 It was also determined that a new feeder from an existing distribution panel would need to be installed, as well as a new step down transformer, new outdoor panel, and branch circuits to each new charger.Chateau Energy Solutions managed the entire electric vehicle infrastructure installation project. Chateau Energy Solutions recommended the ClipperCreek CS-100 as the charging station. It is a powerful UL listed Level 2 EVSE. The station is designed for the wear-and-tear of everyday use in an outdoor environment. Multiple levels of safety are built in to the EV charging station equipment which protects the driver, the vehicle, and the charging unit. 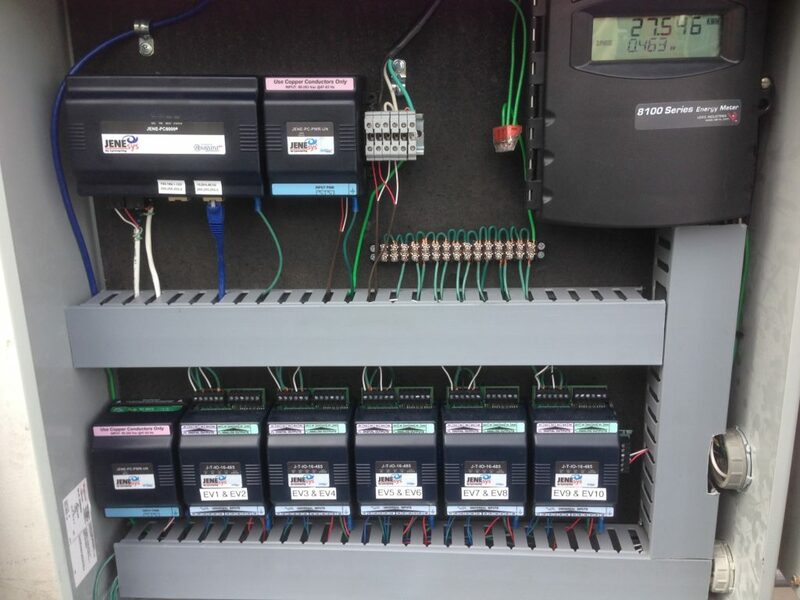 The Charge Circuit Interruption Device (CCID) provides ground fault protection with fully automatic re-test and re-closure.The charging station monitoring system installed by Chateau Energy Solutions gave AmeriPride global monitoring and control of the EV charging stations via a web-based platform. Critical information such as charger supply voltage, power usage, charging schedules to include participation in Automatic Demand Response (ADR) programs, diagnostics, and alarms can be managed from a remote location via a desktop or tablet. Additionally, the monitoring system covers AmeriPride’s requirements to provide real-time information on detailed trends, records of charger performance, utility costs, equipment runtime, and sustainability / carbon footprint reporting information.Beyond EV infrastructure and controls, AmeriPride also needed to select the electric vehicle itself. Battery technology and vehicle range are some of the most important considerations to review when looking for fleet efficiencies. AmeriPride chose the Motiv walk-in step van built on a Ford F59 chassis, which are often used as delivery trucks, refrigerated trucks, food trucks, and tool trucks. The F59 chassis vans have all-electric powertrains and up to a 100-mile range. Also of importance to AmeriPride, was that the vehicle was equipped with a universal charging compatibility. According to Motiv, zero-emission trucks and buses equipped with the Motiv all-electric powertrain have shown a reduction of total operating costs by up to 87 percent compared to diesel trucks. The installation took approximately six weeks. After two weeks of EV fleet operations, AmeriPride determined that the project was a success. They removed the back-up diesel truck that was being held in the event there were issues with the electric vehicles. Projected to have20 percent of AmeriPride’s Vernon fleet as all-electric zero-emission trucks, Chateau Energy Solutions is excited to work with AmeriPride on its future roll out plan for additional EV sites at facilities in the United States.